All the ETS national and some regional conferences. Learn from the greatest biblical and theological minds of our day - Michael Horton, NT Wright, Wayne Grudem, Darrell Bock, Myrto Theocarus, John Trent, Miroslav Volf, Nicholas Perrin, Alvin Plantinga, James Speigel, William Lane Craig, Vern Poythress, David Wells, J.P. Moreland, Kevin J. Vanhoozer, Tom Schreiner, Gary Habermas, Gregory Beale, William A. Dembski, Roger Nicole, D.A. Carson, and many more! This low cost subscription is perfect for smart phones, iPhones, or iPad! 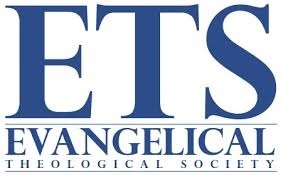 With the ETS Subscription the entire collection Evangelical Theological Society recordings on WordMp3.com is available for your study and growth. You can listen to ("stream") any audio on the site (but not download) for a low monthly cost! Sign up today and start listening! See the material available in this subscription below or here (ETS Collection).